LISTEN NOW! Greg, John, and Pat discuss a recent video discussion where David Platt and Francis Chang discuss the fruit of becoming a Christian. The basic premise of this talk is that they have noticed that a large percentage of people in the church today consider themselves Christians and in reality they are not even saved. The truth is not everybody has made a commitment to Jesus and the fruit of that commitment is a changed life. They continue to discuss how it shocks people today that the church is not the building. The church is not a club, a place to conduct a roll call; the church is where any two or three believers gather in Jesus’ name. They continue to share how many are trying to encourage people to come and to go to church instead of encouraging them to become the church. If they already said no to Jesus why would you encourage someone who doesn’t want Jesus to come amongst those who said yes to Jesus? Jesus sends us out into the harvest empowering us to win people to the Lord and for the advancement of his kingdom. 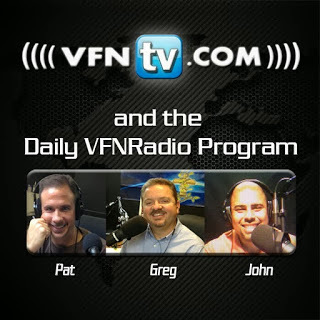 Greg, John, and Pat discuss the Christmas movie “Black Nativity” produced by T.D. Jakes. Are we Witnessing Alinsky Type Tactic Talks with Iranian President in mist of Obamacare Crisis? Greg, John, and Pat discuss whether we are witnessing “Alinsky” type tactics right before our eyes as it is being allegedly reported that in the midst of the Obama Care crisis the President is seeking to have a meeting with Iran’s president. Many are seeing this as one major distraction to take people’s attention off of the Obama care problems and redirect them to the Middle East. This continues to happen as Israel’s Prime Minister Benjamin Netanyahu calls the lifting of sanctions from Iran a historic mistake.